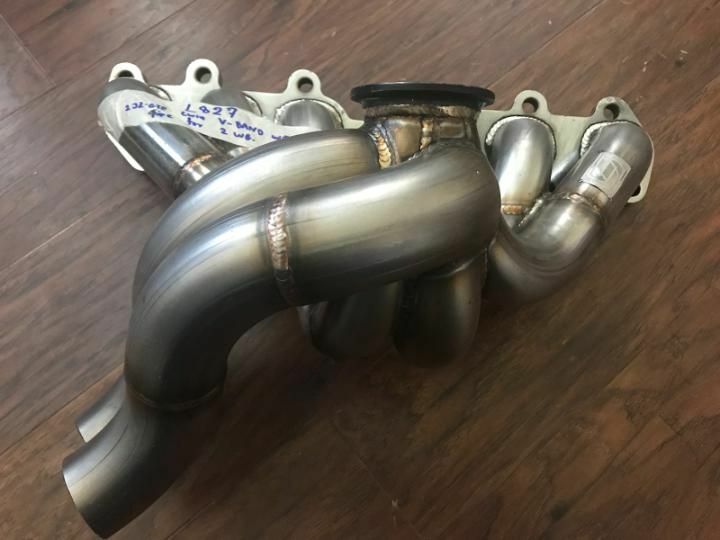 Brand new never mounted 2JZGTE V-band mid frame manifold! 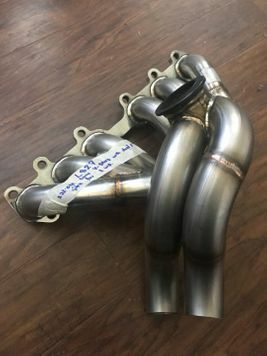 Perfect for anyone running a GT30 or GT35 turbo. This one has piping for two wastegates, which may need slight modification to fit your chassis.